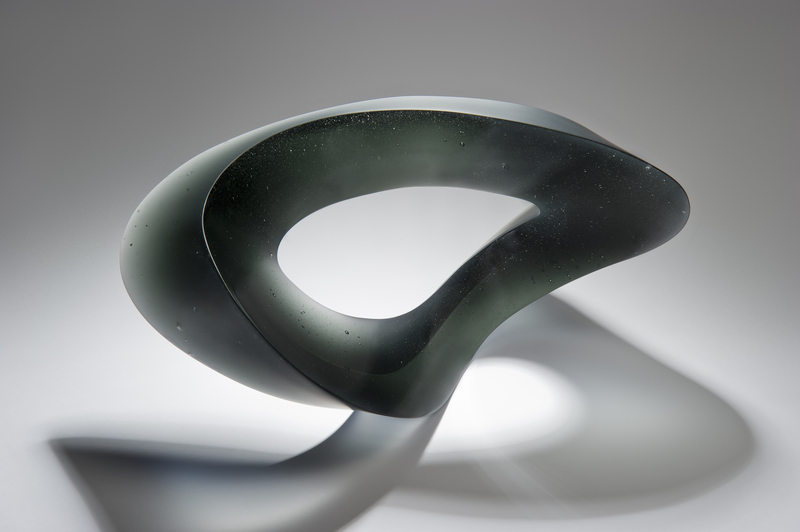 For the exhibition Art of Glass at the National Museum Scotland and the National Centre for Craft and Design, Brachlow has created three new works focussing specifically on the colour grey. 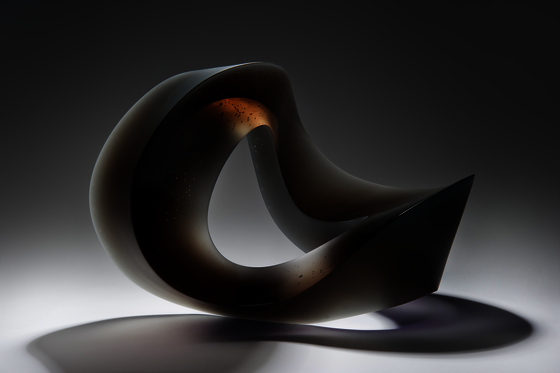 The predominant colouring agent in grey glass, nickel, has two interesting characteristics: it subtly changes hue in different types of illumination, and it strongly changes in both colour density and hue if the physical thickness of the glass varies. 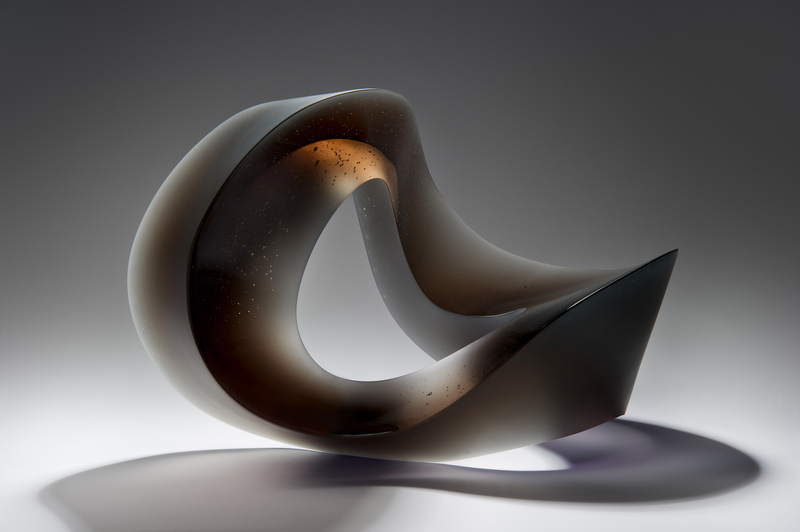 Continuing her exploration of the interaction of colour, form and light in glass solids, Brachlow conducted extensive visual research, drawing on Czech glass sculpture, particularly the work of Stanislav Libensky and Jaroslava Brychtova, in combination with extensive colour and form testing. 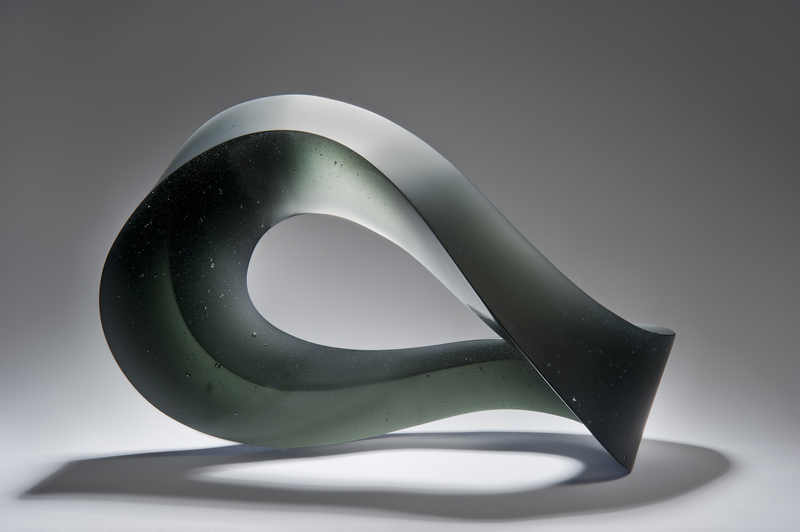 This resulted in elongated shapes with pronounced thick-thin variations, emphasised by the appropriate colour density for each form, aiming to achieve multiple shades and sometimes multiple hues within the work. 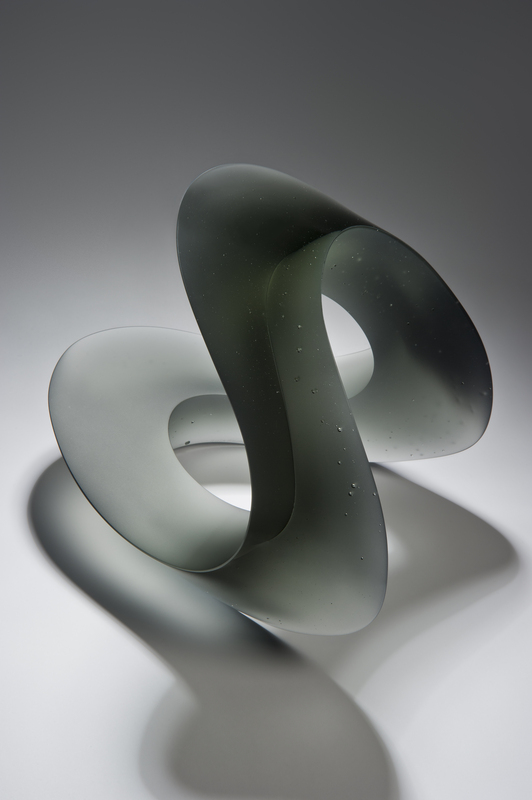 A combination of surface finishes is used to selectively reveal and obscure views inside the glass, and to focus and diffuse light. 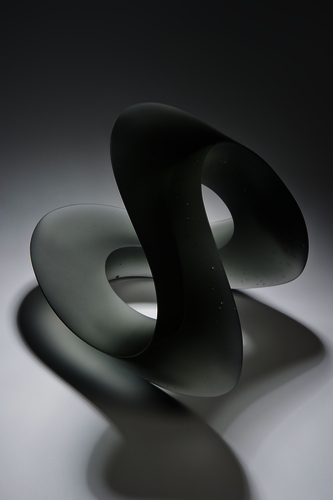 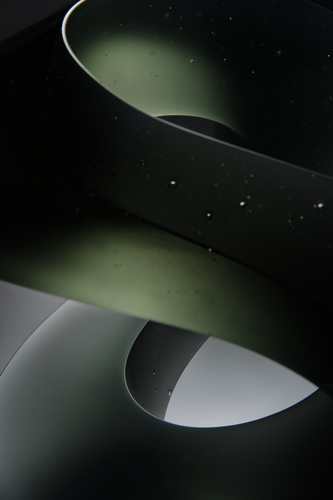 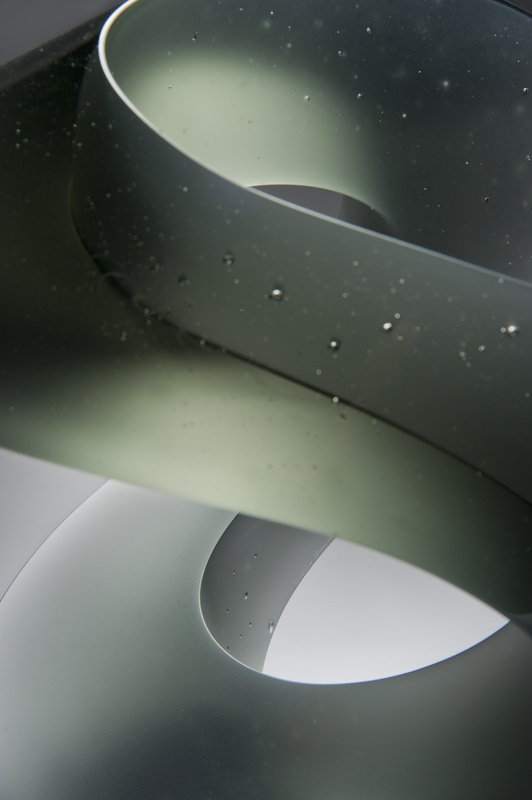 The forms, base on a concept called D-forms, can be exhibited in different orientations and transform depending on the viewing angle.